Many of our dogs don’t really like when we leave them alone – they are social creatures, after all. But there are those that just don’t like it, and then there are those that actually feel like their world is falling apart because you are leaving them. Dealing with separation anxiety in our dogs is much of the same. In order to help them work through this, we need to comfort them (without coddling them), change their associations, and teach them how to de-stress when faced with this looming realization that you, as a human, are not a slave to your house. Depending on the severity of your dog’s separation anxiety, it may take a lot of time and patience to work through, but trust me – it’s worth it when you’re not coming home to a mass of destruction… and your dog will thank you for it as he learns to become more confident and independent. Can’t I just give my dog anti-anxiety medication, you may ask? While there are some extreme cases that may require medication (and for this, you should consult your veterinarian), medication does not get to the root of the problem and so your dog will become dependent on the medication in order to endure the separation. It’s my belief that medication should only be used as a last resort for when structured and supervised behavior modification methods do not suffice (and sometimes in conjunction with these methods as they are in process until the more appropriate result starts to be achieved). Instead, many cases of separation anxiety can be remedied by making changes in your home or routine without giving your dog drugs that can have harmful effects on his health later on down the road. This may seem obvious, but it is best for your dog if you leave him where he seems to be the most comfortable when you are home – and to figure this out, observe where he chooses to spend his time alone. Does he curl up in the corner of the living room on his dog bed? Or sprawl out on the kitchen floor? If you keep him in a space of his choosing, as long as it’s appropriate, it may be more comforting for him to stay there when you leave. 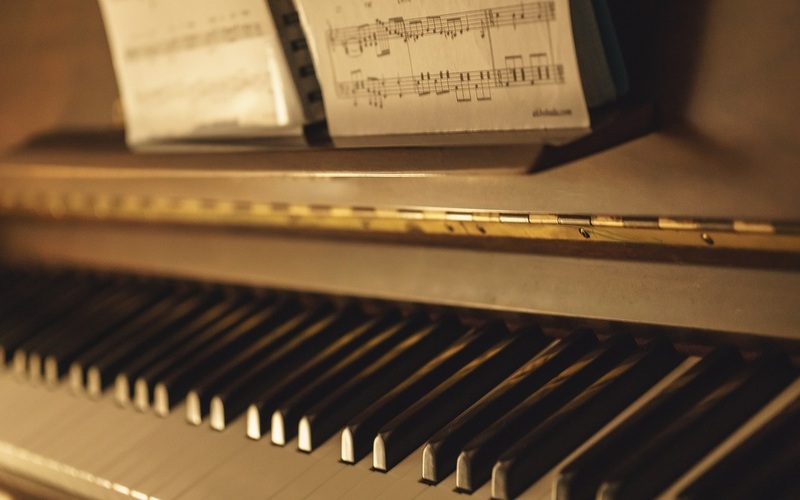 Practice crating in very short sessions when you ARE home, even for 5-10 minutes at a time. During his time in the crate, be sure to ignore any barking. But when he is quiet, you can nonchalantly return to him, toss a few yummy treats in to him, then leave again without saying anything to him. If your timing is right, he will start to learn that making noise in the crate gets him nothing, but being quiet gets him all sorts of fun things! If he is fine in the crate when you’re home and only fusses when you leave, purposely build in opportunities to leave the house for only a few minutes at a time – like to walk to the mailbox, get something from your car, or drive down the street and back – to desensitize him and show him that he doesn’t have to be in the crate for a long time every time. NEVER use the crate as punishment! ALWAYS reward him for going into the crate! Even if you are putting him in the crate because he won’t stop chasing the cats, make him feel like the crate is still a good place for him to be. 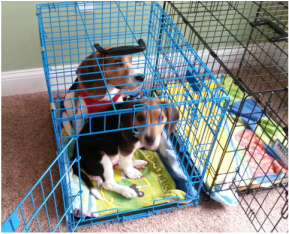 If you’re not leaving your dog in a crate, make sure the spot you choose is comfortable but limited (such as blocking off certain rooms with baby gates or the doors shut). It may include a small space where your pup can retreat if he wants to but make sure he isn’t feeling pressured (some dogs do better in small spaces where they can curl up because they feel like it’s their own private oasis, while others will get more stressed by being confined). Be sure to "puppy proof" that space, freeing it of any valuables that can be torn apart (like curtains, pillows or area rugs), easily broken (like vases or porcelain figurines), become a safety hazard to the dog (like picture frames that contain glass or exposed electrical cords), and general items that you would rather not want to replace (like video game systems and remote controls). Pay attention to all things within a dog’s reach – some dogs have been known to jump up to items on shelves when they have strong anxiety with nothing else to occupy their minds! In addition, be sure to leave your dog with several ​​​​appropriate and durable chew toys so he can work out any anxiety on something productive rather than on your household items. 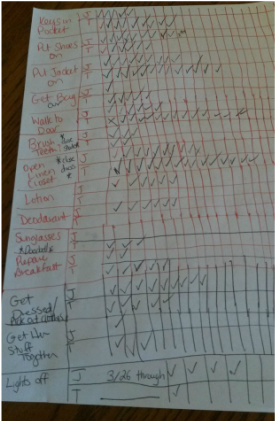 It will help if you make a note of all the things you do that lead up to your leaving (things like putting on your shoes, grabbing your keys, spraying your perfume, closing the bedroom doors - and many other things you may not even realize unless you really sit down and think about it). Each of these cues becomes a trigger that can already start to build your dog’s anxiety even before you actually walk out the door. There are puzzle bones and toys you can buy in which the dog has to figure out how to get a treat out of a hidden space - these games play to a dog's instinctive nature to use his nose so it's usually quite rewarding and can focus your dog’s attention elsewhere (rather than on you leaving). My personal favorite is making a Kong stuffed with some yummy natural ingredients and freezing it to make a puppy popsicle (see below). If you leave your dog with one of these, he can actually get rewarded for laying calmly and relaxing, since there’s goodness in every lick! The goal is that if he can learn it's GOOD when you leave - because he has access to super fun treats, toys, things he wouldn't have access to otherwise - he will not be so anxious about being left behind. Instead, he may actually look forward to it! 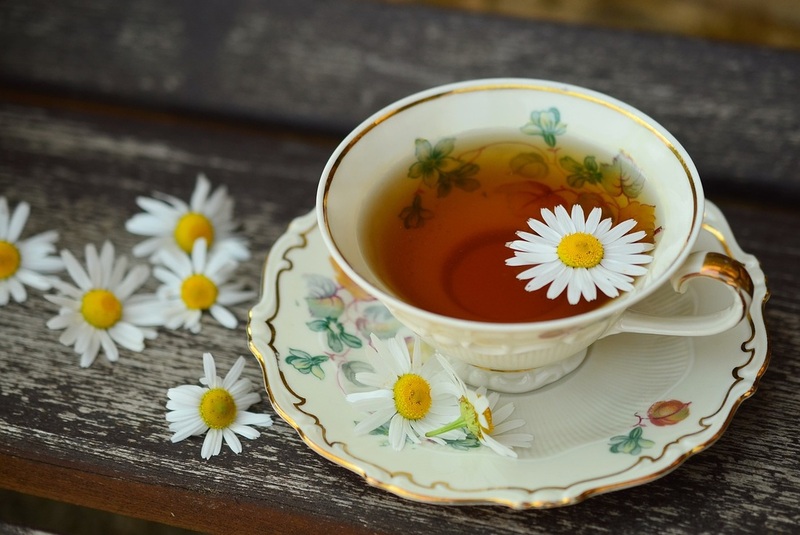 For more information about changing associations in other areas of your life, see my article Changing Associations – Turning Lemons Into Lemonade! Give your dog some cool chamomile tea or valerian supplements, which will help relax him, a half hour or so prior to your leaving. You can get these at a natural food store or at a homeopathic/holistic veterinarian. 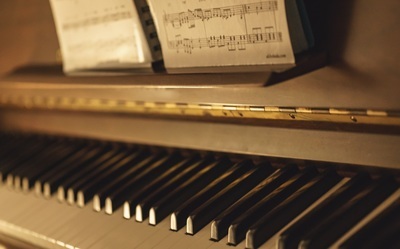 Play some soothing music (classical piano or strings work well) leading up to your leaving, but also when you’re home so he can associate it with good times and not just your leaving him behind. Provide him with a frozen stuffed Kong goodie when you leave - even if he's not interested in taking the average treat, this special goodie may be of particular interest to him. This Kong can be stuffed with some of your dog's favorite ingredients to create a puppy popsicle of his favorite flavors, and each time he licks he will get rewarded. I like to stuff it by making a "meatball-consistency" mixture including a base that will hold everything together (such as mashed sweet potatoes or bananas, or by soaking his kibble until it’s swollen and mushy), and then adding some other items like bacon pieces, his favorite cooked ground meat, apples, blueberries, watermelon, carrots or any of his other favorites to add some variety. Adding a tiny smear of nut butter (NO xylitol!) over the top can act as a “cap” so the mixture doesn’t come out. Then freeze overnight or for a few hours. It may help to have a few Kongs to stuff for this purpose all at once - they can stay good in the freezer for a week or so. Spritz essential oils on your dog's collar or on her bedding, or for a longer-lasting effect disperse in the air through a diffuser. 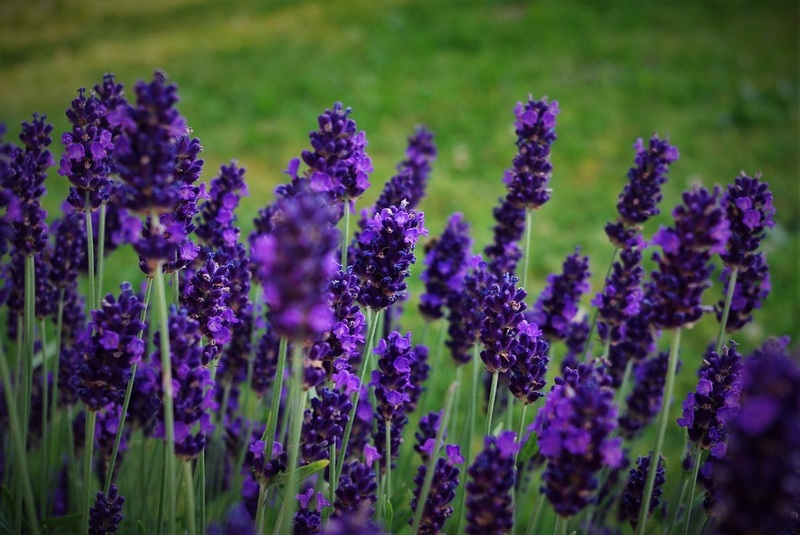 Some essential oils (such as lavender, chamomile, valerian or my specially formulated "RELAX" blend to name a few) are safe for use with dogs and known to relax them the same way the oils do for people. 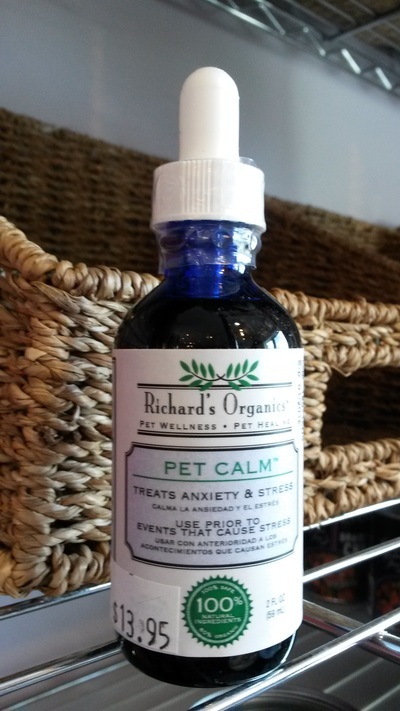 There are also commercially available blends - Ashwood Estates Apothecary Naturals makes a fantastic, all-natural calming spray, or try Richard’s Organics “Pet Calm”. There are also some supplements and treats for dogs, formulated specifically for anxiety, available in some of the natural food stores and local pet boutiques. 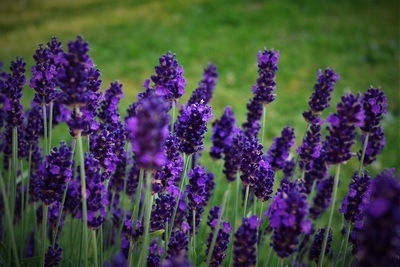 Many of them have ingredients like chamomile or valerian, among some others that are known to have relaxing qualities. Two examples are the "Calming" soft-chews available from Pet Naturals of Vermont or Ark Naturals "Happy Traveler" herbal treats. While it means being diligent about the way you approach leaving your home, putting these suggestions into action can make a big difference in shifting your dog from a dog who is stressed and anxious when you leave to a dog who doesn’t mind when you leave and even looks forward to some time alone! And for more tips on working through separation anxiety, see my blog post The Pressures of Separation. Separation anxiety usually involves a deeply rooted insecurity. For more help in moving your dog from anxious and insecure to confident and happy in several aspects of his life, contact Maria at (845) 549-0896 or maria@mghcanineconsulting.com.